Ryan Fitz is my name, and I drove on the Houston train. ‘Til Mallett’s cavalry came and tore up the depth chart again. In the summer of ’15, we were Gang Green, just barely alive. By June 10th, Brady had fell. It’s a time I remember oh so well. 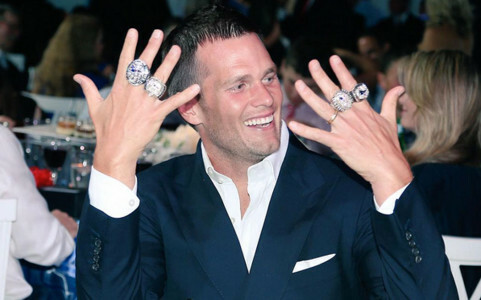 As your resident Patriots apologist here on Tuesdays with Horry, I’m here to tell you that a lot has been said about consummate gentleman, best quarterback to ever play the game and general American Hero Tom Brady throughout his career, but especially since last season’s AFC Championship Game (You know, the one where the Indianapolis Colts lost by a billion and then whined to the league about it AGAIN, initiating the saga now known across the world as ‘Deflategate’). Lots of people have called him a cheater, a liar and various other mean things despite the total and utter lack of proof provided by the NFL that the footballs used in that game were deflated by anything other than natural causes. My question to you, fellow Americans, is this: why?